Keynote Speaker: Daniel Siegel, M.D. Daniel J Siegel, M.D. received his medical degree from Harvard University and completed his postgraduate medical education at UCLA with training in pediatrics and child, adolescent and adult psychiatry. 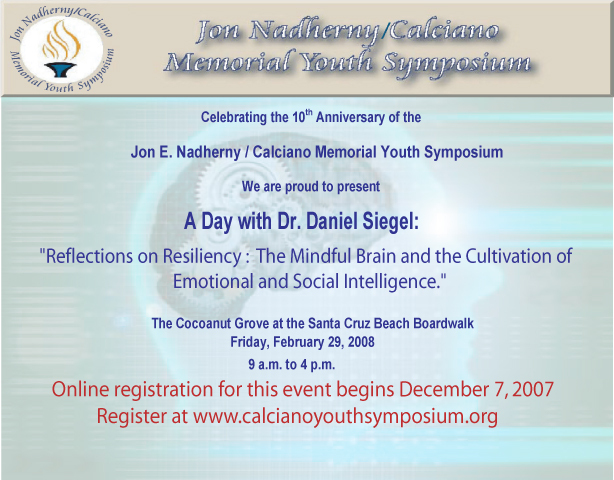 He served as a National Institute of Mental Health Research Fellow at UCLA, studying family interactions with an emphasis on how attachment experiences influence emotions, behavior, autobiographical memory and narrative. 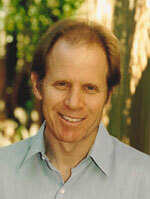 Dr. Siegel’s psychotherapy practice includes children, adolescents, adults, couples, and families. An award-winning educator, he formerly directed the training program in child psychiatry and the Infant and Preschool Service at UCLA. He is the recipient of the psychiatry department’s teaching award and several honorary fellowships. He is currently an associate clinical professor of psychiatry at the UCLA School of Medicine where he is on the faculty of the Center for Culture, Brain, and Development. He is also the Director of the Center for Human Development, an educational organization that focuses on how the development of individuals, families and communities can be enhanced by examining the interface of human relationships and basic biological processes. Dr. Siegel is the co-editor of a handbook of psychiatry and the author of numerous articles, chapters, and the internationally acclaimed text, The Developing Mind: Toward a Neurobiology of Interpersonal Experience (1999). This book introduces the idea of interpersonal neurobiology and has been of interest to and utilized by a number of organizations, including the U.S. Department of Justice, the Vatican’s Pontifical Council for the Family, the Council on Technology and the Individual, early intervention programs and a range of clinical and research departments worldwide. Dr. Siegel serves as the Founding Editor-in-Chief for the Norton Series on Interpersonal Neurobiology. His book with Mary Hartzell, M.Ed., Parenting from the Inside Out: How a Deeper Self-Understanding Can Help You Raise Children Who Thrive (2003) explores the application of this newly emerging view of the mind, the brain, and human relationships.